Inspired Manhattan moments begin at The Quin Central Park by Hilton Club a New York legacy once home to this century*s greatest artists. 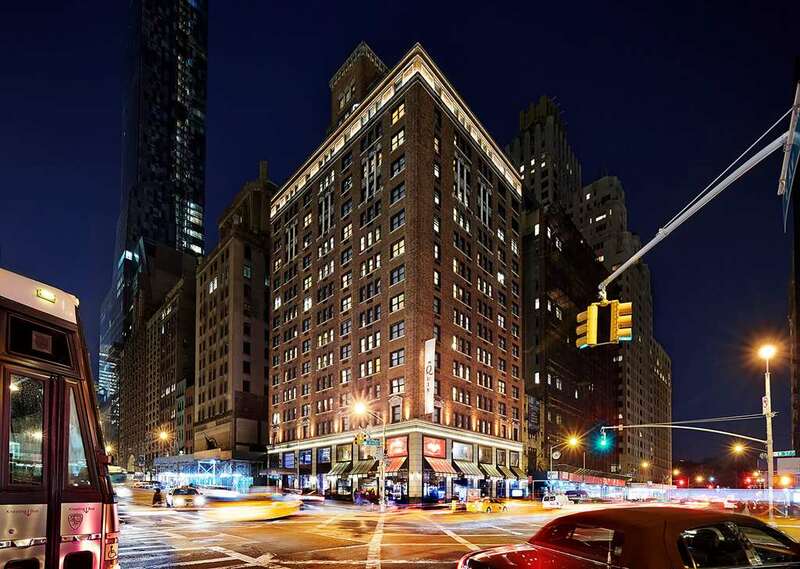 Positioned just steps from the city*s cultural wonders and premier attractions The Quin Central Park by Hilton Club enjoys a commanding location in Manhattan*s vibrant Midtown neighborhood with sweeping views of Central Park. After a long day and night spent soaking in the iconic landmarks colorful culture world-class stages and tantalizing plates of Manhattan rest easy surrounded by the luxury comforts and choice amenities of The Quin Central Park by Hilton Club. A peaceful retreat alongside Central Park Guest Rooms and Suites offer spacious and considerate design city views and modern opulence. Guest accommodations invite ease and relaxation with graceful hospitality. Pairing a classical heritage with contemporary decadence timeless luxury meets modern convenience at every turn. Stop by The Wayfarer an American Grille to enjoy a Classic American menu redefined in an inviting setting. The restaurant evokes the experience of an old gentlemen*s club with a touch of disco-era design inspiring a feeling of rediscovery and rebirth. The Wayfarer is open daily for breakfast lunch and dinner. Serving breakfast light bites sandwiches salads sushi dinner entrees and desserts. Teas beer wine and spirits are available. The Wayfarer is an American Grille in Midtown Manhattan where locals and hotel guests alike can enjoy a Classic American menu redefined in an inviting setting.